Using credit cards for their rewards, also known as churning, is something that has become a huge personal finance trend in recent years. I’m one who’s always taken a stance against it since the risks seem to far outweigh the rewards. While I do use credit cards minimally I’ve always been cautious about overdoing it as I don’t want to put myself in a position where I can’t pay my bill. Not to mention, there’s been studies proving that using a credit card causes you to spend more money without even realizing it. 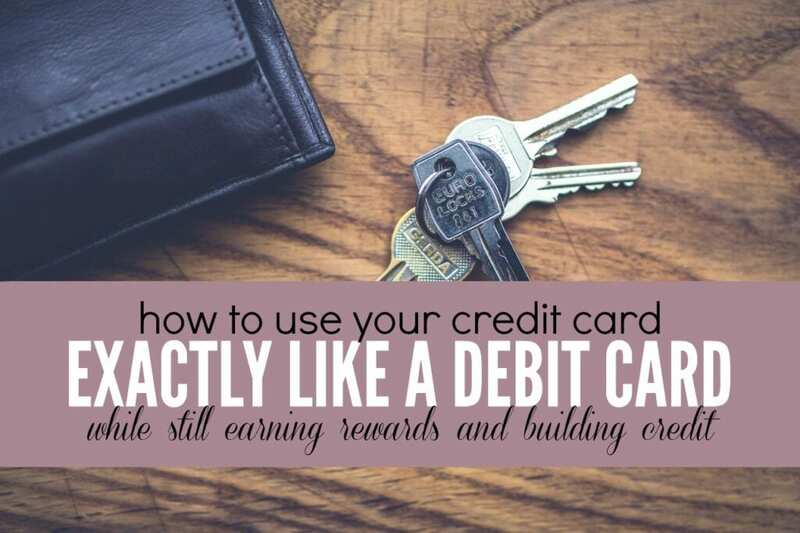 But now there’s a solution to this – a way to use your credit card EXACTLY like a debit card while still reaping the benefits of building credit and earning rewards. And I’m seriously in love with the company who has made this possible. That company is Debitize. Here’s how they work. Debitize works on automation. They ensure that your credit card bill is paid each month by treating your spending like you would as a debit card. They create a Debitize bank account on their end. When you make a purchase on your credit card they will take money from your checking account in the amount of your credit card purchase and put in your Debitize bank account. You record your credit card purchase exactly like you would with your debit card purchase. When your credit card bill is due they pay it for you from the Debitize account. That’s it. Simple but effective and totally free! Signing up is easy to do. You create an account, link your cards and banking information and you’re good to go. **When creating an account you may have to upload a recent credit card statement. This won’t be the case for 90% of users but is a temporary fix while Debitize is switching their billpay API . If you’re worried that Debitize may overdraft your checking account, they won’t. In fact you can even set minimum balances on your account and they won’t draw past them. In the event that you spend more on your credit card than you have in your bank account they will make multiple transfers from your bank account when money is available to catch up. However, you can completely prevent this from happening if you record your purchases just like you would do for a debit card. That’s your part in all of this – treat your credit card spending the same way you do your debit card spending and they will handle all of the rest. Also, for the worriers like me you can have all kinds of notifications sent you about your credit card spending. I think this is a great service for anyone who is looking to build credit or earn credit card rewards without all of the risks normally associated. 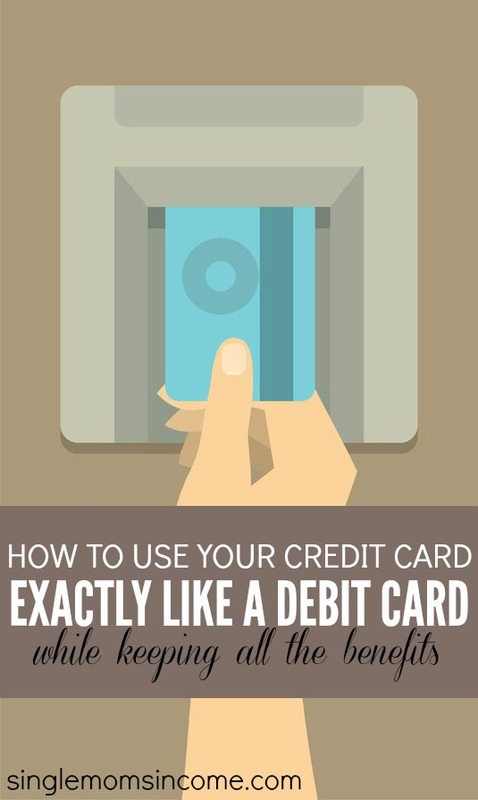 It’s also great for anyone who just wants to make sure their credit card bill is always paid in full and always on time. If interested in checking them out, you can sign up for a free Debitize account here. How do you handle credit card spending? Would you use a service like Debitize? This post is created in partnership with Debitize. All opinions are mine. I tend to spend cash because I’ve noticed that seeing money hang out from wallet make me more conscious about my spending, plus I decide to have only prepaid card for travels and online shopping so I know the exact amount I can spend each time but this post is really interesting so thanks for sharing!!! I guess if giving them free use of your money helps you, have at it. The other option is to just deduct your credit card purchases from your checkbook register when you make them. You’re right, you could just deduct the balance right from your checkbook. I like the way they’re doing things though, it keeps everything organized and makes sure that credit card bills will be paid in full and on time which is great, IF it’s an area someones has struggled in. And as far as letting them use your money it’s really no different than putting money in a bank and since the service is 100% free I don’t see this as a con. This is a stellar idea and I would totally use this service! I have thought that I could just deduct the credit card purchases from my checkbook register but it would annoy me that my actual bank balance would be so far off of my register balance. Maybe that would work out but I like the idea of Servitude moving the funds out right away to save for paying the bill. Right now my credit card balance is too high to use the card as a debit card but when I pay it down I would like to be able to use it for points like this. I really don’t think that using credit cards is a good thing even if you’re trying to get rewards, points, etc. I think it’s better if you have the cash just pay for whatever you need with via debit card, cash, or check. Building wealth won’t be a result of points, rewards, or miles so I just can’t wrap my head around it. Great idea nonetheless. I can completely understand that. That’s why I’ve always been against the whole credit card churning thing. It seems a little too risky to me. Great Post, Alexa! I have never heard anything about this. The one benefit that comes to mind is with making expensive purchases. Credit cards offer more protection for consumers if they get a bad product. You can refute the charge and not pay for it until all is resolved. If you pay for a large purchase with a debit card, the seller has your money. Not a great position to be in for negotiating. That said, I still think credit cards should scare you like a rattle snake! I’ve never heard of this – think we might try it! Came across this article and I can’t agree more. Been using debitize for a while now and it’s been better than expected, my credit score improved (i was terrible at paying bills on time) and they’ve helped me with that. Wonder why they’re not a big thing yet. Thanks for sharing. Glad to hear it’s worked so well for you!